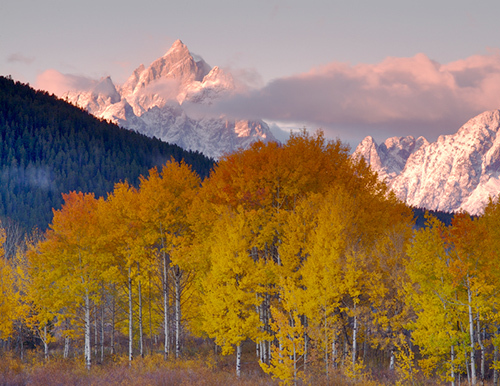 Across the United States, more than 715 million acres of wild lands in thousands of holdings are protected, thanks to measures such as the Wilderness Act of 1964. Today, however, those protected lands face a number of threats, including budget cuts, the extraction of resources—such as drilling for oil and fracking for natural gas—negative ideology and climate change. A new study published on February 24, 2015, in the journal PLOS Biology, however, shows that national parks and nature preserves bring in far more money than governments spend on them for conservation. The study, titled Walk on the Wild Side: Estimating the Global Magnitude of Visits to Protected Areas, states that although only $10 billion is spent on maintaining the protected areas, more than eight billion annual visitors generate an estimated $600 billion in tourism revenue. Even setting aside, then, the proven psychological, physical and spiritual benefits that wilderness provides, does cutting budgets for the conservation of protected areas make sense in economic terms? This study—one of the first data-driven analyses of nature-based recreation and tourism on a worldwide scale—was conducted by researchers from Princeton University, the World Wildlife Fund and the University of Cambridge in the United Kingdom. In order to gauge the economic impact of visits to protected areas, the authors examined visitor records from 556 parks across 51 countries from 1998 to 2007. They then used models to extrapolate the numbers for the world’s 94,238 protected sites (omitting Antarctica, ocean preserves, very small sites and those that don’t welcome tourists). Protected areas in Europe had the most estimated visits per year, at 3.8 billion. North America came in second, with 3.3 billion visits annually. 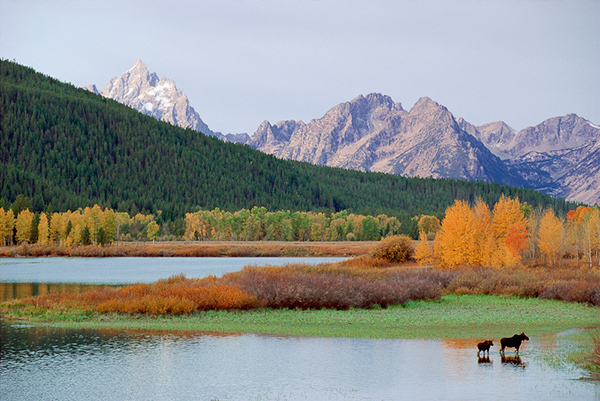 The North American visits to protected areas alone amounted to at least $350 billion a year. That’s more than 35 times the worldwide total of less than $10 billion spent each year to safeguard protected areas. The study’s authors concluded that the money spent conserving our wild areas is grossly insufficient. Even without considering the many other benefits that protected areas provide, the economic impact and value of visits to such lands far surpass the current expenditures. In other words, by underinvesting in conservation, we take on a great economic risk. Substantially increasing investments in protected area maintenance and expansion, on the other hand, would yield significant economic returns. Unfortunately, wild areas around the planet are now experiencing extreme challenges. In England, public lands are being sold off; and in Brazil, 10 percent of national parks and indigenous lands face mining threats. 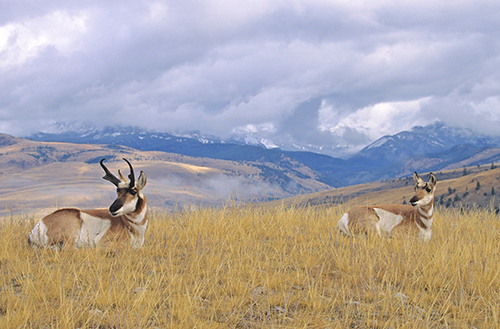 Here in the United States, Wyoming’s boom in natural gas and oil development is causing habitat fragmentation and the blocking of the pronghorn migration from the Upper Green River Valley near Grand Teton National Park. Concentrated drilling operations in the Pinedale area south of the park have been linked with regional ozone problems, with pollution levels high enough to cause respiratory problems. In Theodore Roosevelt National Park in North Dakota, oil rigs can be seen from several parts of the park, and natural gas flaring has punctured what was once one of the darkest night skies in the entire national park system. In my own state of Wisconsin, Governor Scott Walker has introduced a plan to freeze spending until 2028 for land purchases from the Knowles-Nelson Stewardship Fund, a monetary reserve that has protected more than 650,000 acres in the state over the past quarter of a century. The proposal was introduced despite the fact that the cost of maintaining the fund works out to a negligible $.27 cents per Wisconsin resident per week, or about $14.00 per year. Other states are facing similar scenarios. In light of this new study, do you think cutting funds to conserve public lands is a risk worth taking, or is it economic folly? Are there bills proposing the degradation of protected areas where you live? I think there’s a tragedy-of-the-commons issue here that others have touched on. PAs may bring in a lot of money, but it’s divided among many parties. One party that stands to make substantial profits from extracting resources from the PA has a lot more incentive (and probably a lot more money) to make that happen than any of the parties benefiting from the PA as it is. In a few counties in northwestern Minnesota, a lot (over a hundred square miles) of forest has been cleared for potato fields by a few companies. When you drive through the area, it’s obvious that the economy is largely dependent on tourism, with boat dealers, boat storage operations, tackle shops, motels, and restaurants everywhere. People come for the lakes and forests. Clearing the forests is probably bad for the regional economy, especially if it negatively affects the lakes, but the only questions capitalism addresses are: (1) who can pay the highest price for any land on the market? and (2) what do they want to do with it once they’ve bought it? It could be that converting forests to potato fields is a net negative for the regional economy – that jobs will be lost and towns will wither as a result of it – but if the entities that own the land can make more money growing potatoes on it, and if that’s what motivates their actions, the cost to all the little businesses that don’t own the land is irrelevant. Ecosystem service needs to be better quantified and monetary value added. I know it is difficult and is probably always going to be an underestimate but PA, tourism, biodiversity…are all just feel-good things to most people. Only things directly linked to human well-beings will share the same political stage as health and economics. The commenters above have succinctly summarized the key issues — I have little to add except to mention that the link between tourism revenues and reinvestment in biodiversity management has been weakest where it counts most — in developing nations and tropical areas. These protected areas could bring billions in revenue to exploration for oil, mining etc, that’s why funds are being cut by greedy corporations and republicans. Besides tourism money, these lands generate costly ecosystem services, for example cleaning the air and water. These free services should be considered. So many people can not see the forest for the trees. Wise investments for the planet and all of its residents, that will return riches to our great grandchildren many times over, appear as slaps to the face of a huge number of individuals and corporations seeking greedy profit to be stolen from all of our great grandchildren. Sadly, ecosystem services appear to be invisible to capitalism. My comments are personal opinion, not those of any board I sit on. Why cut funds? A damn good question. Saul, I think that the $600 billion is likely representative of lodge stays versus a “walk in the park” type visit. There are African game lodges in Kruger national park that charge between $1000-$2000 per person, per night. The Serengetti has similar lodges and I know that even though prices are nowhere near that expensive, an Amazon lodge tends to charge between $100 – $300 per night plus park fees and the Inca Trail generates about $10,000,000 in permit fees. Given the rise in popularity of adventure tourism, I would think that these stays represent a large percentage of the total. And it’s not even like all of creation is only as valuable as it can be monetized. This is just politics…. Such a shame, thank you Candice for sharing. Ray, you are correct. Although political deception convinces people otherwise, the lack of support for protected area budgets has more to do with greed than with fiscal responsibility, not even to mention taking care of our planet (as though that matters…). I live in Arizona – like the Federal government they talk education then radically cut funding to “balance” budgets. Somehow totally ego based individuals who have no ideas as to how in the long term anything works, other than the political machine, rise to the top. Here is a scenario; protected areas bring in over $600 billion – cut budgets, decrease protection, profits from revenue decline. New imperative – cut lumber, build dams, use wildlife as food and farm the land. Oh, and if the facts don’t go along with the political will then you must be pink and wierd. In reading the article the thing that jumped up at me was the old triangle (legislature, private business, agencies) on forestry. Two points, if it is mature tree it grows slower than what it is worth in the bank so cut. Or if everyone in the triangle says what a great job the other guy is doing the hell with the public or ecological sanity. We are a sad and crazy species. Protected areas and public parks also contain many sacred sites that are important to indigenous peoples. Even if the gov’t doesn’t care about native peoples,one would think they would care about $600 Billion. PA’s bring in $600 billion annually worldwide, really? It’s still only a model. European and N American PA’s generate 80% of that income from tourism (assuming visits = tourism), but biodiversity sits in the poorest countries. Anyway, tourism income rarely flows back directly & substantially to PA management and protection. Why would only governments have to pay to manage and protect the resources base from which tourism income is generated? A much larger share of tourism revenues should be re-invested in PA’s. Unfortunately governments all over the world suffer from major communication issues between departments and many do not see nor care about the environment; so results and research such as these go unheard/are ignored. It is definitely an economic issue as well as a sustainability and social problem, but as government changes every few years they are not interested in benefits over the long term, governments only care about short term results. Hence the array of short-sighted decisions being made worldwide every day. Why cut funds and why ignore their protected status and cut right through them? Why can’t budget reductions be replaced by revenue sharing agreements? Why? Politics, politics, politics. Cutting funds for protected areas usually goes along partisan lines, where politicians want to make an ideological statement rather than a pragmatic, science-based decision.